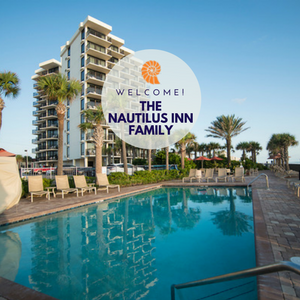 The Nautilus Inn today announced that it has received a TripAdvisor® Certificate of Excellence for the fifth year in a row. Now in its seventh year, the achievement celebrates hospitality businesses that have earned great traveler reviews on TripAdvisor over the past year. Certificate of Excellence recipients include accommodations, restaurants and attractions located all over the world that have continually delivered a quality customer experience. 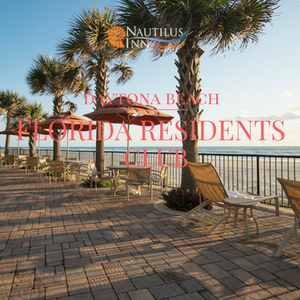 "We're proud to receive this award again and appreciate our staff's commitment to satisying our guests by providing a quality vacation experience," said Angela Street, General Manager of the Nautilus Inn. She added, "we thank our guests for their positive response to their experiences here at our hotel." TripAdvisor, the world’s largest travel site*, enables travelers to unleash the full potential of every trip. With more than 500 million reviews and opinions covering the world’s largest selection of travel listings worldwide -- over 7 million accommodations, airlines, attractions, and restaurants -- TripAdvisor provides travelers with the wisdom of the crowds to help them decide where to stay, how to fly, what to do and where to eat. TripAdvisor also compares prices from more than 200 hotel booking sites so travelers can find the lowest price on the hotel that’s right for them. TripAdvisor-branded sites are available in 49 markets, and are home to the world’s largest travel community of 390 million average unique monthly visitors,** all looking to get the most out of every trip. TripAdvisor. Know better. Book better. Go better.